Available to: new clients, UK residents only. If youre thinking of making the switch to a live account, wed like to give you a £100/€100 trading bonus with no initial deposit required! This offer is only available to new clients. The bonus can be withdrawn if you deposit a total of £500/€500 and place trades with a total stake of £100/€100 within 90 days of receipt. 1. We will give new clients who successfully open an account with Intertrader.com a trading bonus of £/€100. 4. This offer runs until 30 June 2014. 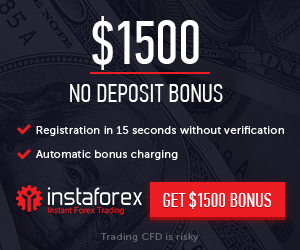 In order to claim your bonus, please email support@intertrader.com, quoting Free100 by the end date. 5. The bonus amount is for trading purposes only and cannot be withdrawn from the account until the release criteria have been met. 6. To satisfy the release criteria you must place opening trade(s) with a total £/€/$ per point (spread bets), or a number of contracts (CFDs), totalling £/€/$100 and deposit £/€/$500. For example, 100 x £1 per point spread bets, 50 x £2 per point spread bets, 100 CFDs etc. If you open an MT4 account you must trade a total number of mini lots (0.1) which is double or greater than the bonus amount. In order to meet the release criteria you must trade 200 mini lots (100 x 2) and fund £/€/$500. 7. Equity trading is excluded from this promotion and any equity trade will not be included in the total stake calculation. 8. If a bonus is applied to your account and you subsequently withdraw funds without meeting the release criteria, InterTrader may adjust your bonus amount by removing the proportion of the bonus amount which was originally credited to your account in respect of the amount withdrawn. Profit = current account balance deposits withdrawals + bonus credit. 9. In the event that the release criteria have not been met for a period of 90 calendar days, we reserve the right to revoke the bonus amount and withdraw it from your trading account. 10. We will not be liable for any losses that you may incur as a result of trading with the bonus amount. 11. In the event that you are participating in more than one offer simultaneously the release criteria operates as follows. The trades placed following receipt of a bonus amount are allocated towards that bonus release criteria, with trades being allocated to any subsequent bonus release criteria once the previous bonus release criteria have been met in full. Bonus release criteria are therefore met in strict chronological order. This principle will apply regardless of the number of offers you are participating in simultaneously. 13. This offer is not available to employees of London Capital Group (LCG), bwin.party digital entertainment plc or any other company engaged in direct competition with LCG. 14. This offer is subject to fair use policy and consequently we have the right to withhold this offer when we have reasonable belief that there has been co operation, collusion or organisation of trades from the same source, or if we have reasonable belief that the offer is being abused in any way. 15. We reserve the right to amend, withdraw or restrict this offer at any time without notice.